Fruit trays are great alternatives to sweet desserts. Use whatever fruit is in season. 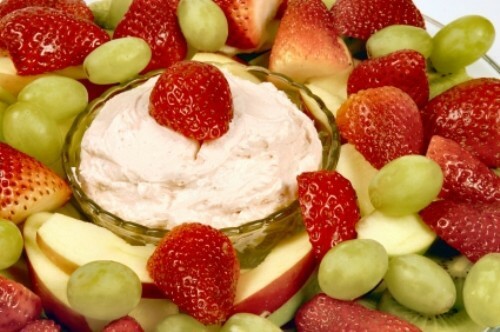 This quick and easy fruit dip is better than anything you will buy in the store! Mix all ingredients. Chill and serve with sliced apples, pears, peaches, oranges, bananas, or any other fresh fruit you have on hand. My kids loved this dip! This is so easy and taste so great. I received allot of comment on it from my friends they all loved it.